The Allen Flame is the official student newspaper of Allen Community College. It is produced by the news practicum class during the fall and spring semesters. The Staff is comprised of 10-15 students who have diverse backgrounds and media experience making our product creative and unique. While our staff selects and writes articles for the Flame, reader input is welcome about story ideas, photograph opportunities, and other suggestions that would improve our newspaper. Send comments or questions to Bruce Symes, Flame Adviser, at [email protected]. Symes, who instructs news practicum and advises the Flame, started working as a Writing Center coordinator at Allen Community College in the fall of 2008 after working a newspaper job for twenty-three years at the Iola Register. At the Register, Symes was a reporter, photographer and editor. 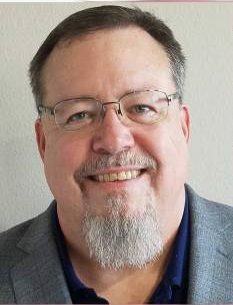 He grew up in Lakin, Kan., in southwest Kansas and earned a journalism degree from Kansas State University in 1985. He has resided in Iola for thirty-one years. After his years of service for the local newspaper, which included covering Allen and its Board of Trustees, Symes decided it was time for a change when the Writing Center job opened up. He has enjoyed the energy of the college students, as well as the scholastic atmosphere at Allen. He hopes to instill and/or nurture a passion for writing among his journalism students and provide a valuable product in the Flame for Allen readers.